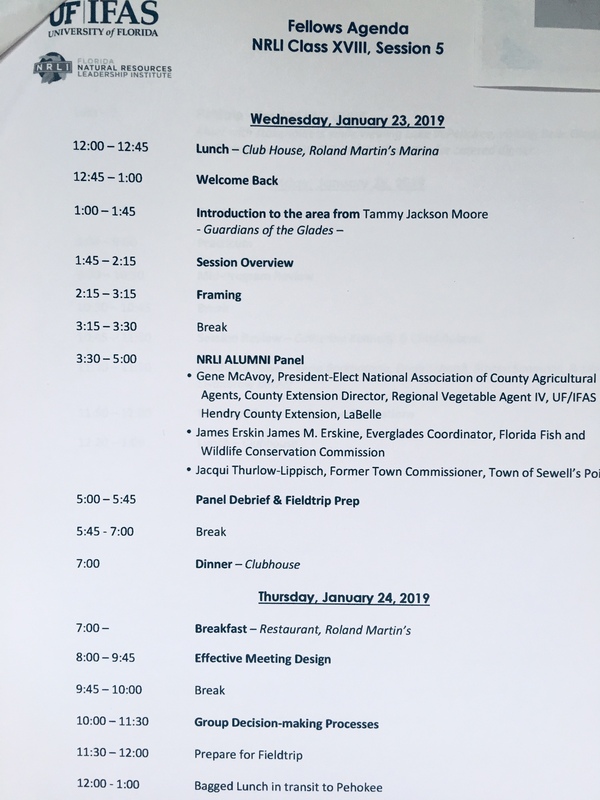 When University of Florida’s, Paul Monaghan invited me, the answer was “yes!” Paul called to ask if I’d like to be part of an alumni panel for UF’s Natural Resource Leadership Institute (NRLI) Class XVIII Session 5, Changing Dynamics in Rural Communities & Agriculture, in Clewiston. I am an alumna of NRLI, Class XV, and first became acquainted with the program as a panel member in 2014. The topic? The “Lost Summer,” and ever worsening destruction of the St Lucie River and Indian River Lagoon. 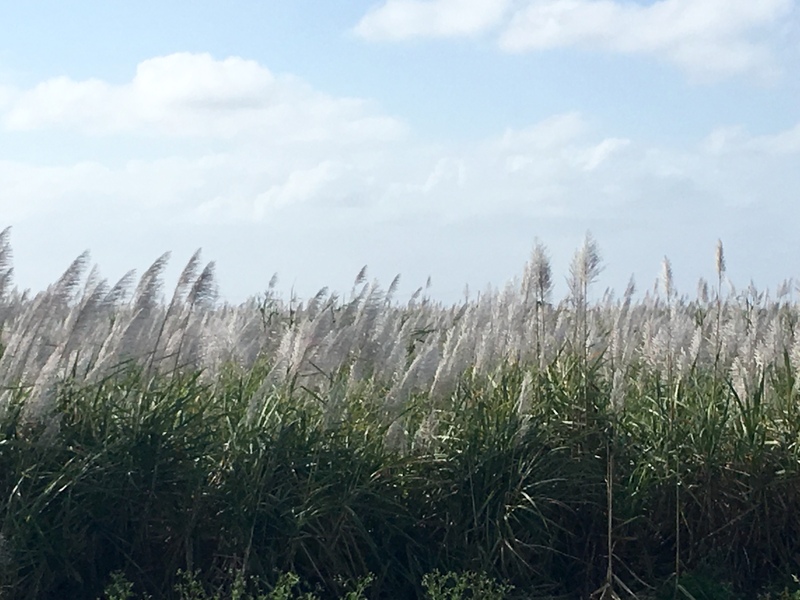 This unique program studies and deconstructs conflict particularly dealing with Florida’s natural resources, and gives students tools, experience, and most important, personal relationships across disciplines, to help deal with this sometimes crushing reality of natural resource work. NRLI is an eight month professional development program. Each intensive three-day session is held in a different part of the state and focuses on a specific and contentious natural resource issue….Today, since 1998, the program is on its way to producing 400 graduates. These NRLI grads are changing the dynamic of Florida by “reaching across the aisle” shall we say. In the middle of Highway 27? No, on top of the Herbert Hoover Dike! ? ! Rim Canal and dike near Roland Martin’s Marina. This area was once part of a forest of 32,000 acres of Pond Apple trees torn out to access the rich muck soils. A bonanza for farmers, but complete destruction of the natural environment. This is causing conflict in today’s world. 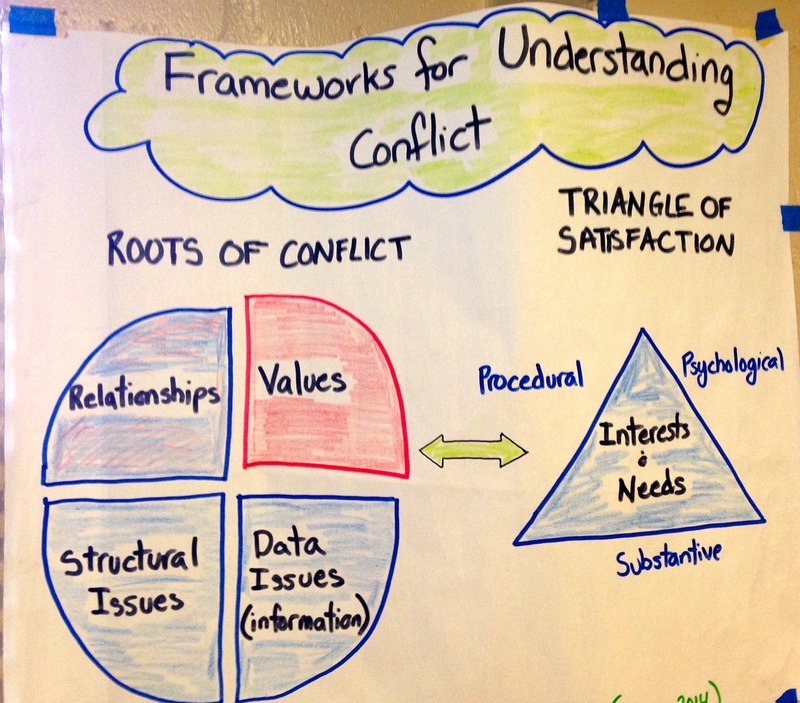 “conflict” is an unbelievably great topic. A rudimentary understanding of it’s effects on how we got here, never-mind how we will get out, is key and I applaud you willingness to put ‘continuing education’ an your priority list. Thank you Richard. All the best. Less talk and more action…..! It is better to be an enimy of America than a friend because if you are an enimy they will try to buy you and if you are a friend they will sell you (out).This is what the muslem world thinks of us. Andrew Jackson was a president who dealt with conflect—It is interesting to look on google– Andrew Jacksons top 25 quotes and see how they pertain to America today.